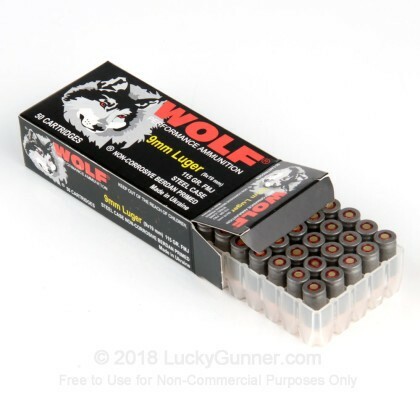 Newly manufactured Wolf Polyformance (50 rounds per box). Very excellent fire rate....loving wolf to use in future. Excellent fire rate....really reliable to use in any conditions. I ordered a 1000 rd case. Of the first 110 rounds I fired, 37 were failure to fires or 34%. I'm in process of returning to Lucky Gunner. I was using a Glock 26 which is has never had a misfire prior to this. 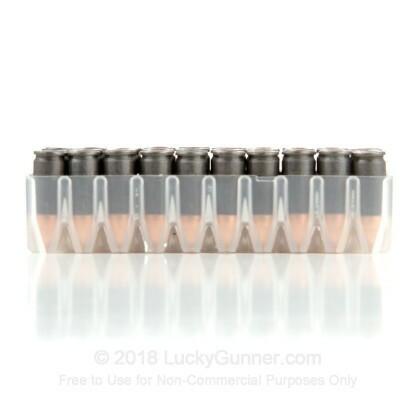 dirty ammo. plus I don't like the Russians. Don't like Russians,met many while in the military. This ammo is very dirty and will foul any weapon after a two mags. I've been using this for years in a Glock and never had a miss fire. It used to be under 10 cents a round but still a good price. Just can't reload the steel. I've used Wolf in the past, it was extremely reliable and hit hard. I would trust my life to it over Federal any day and I used Federal in the Army. 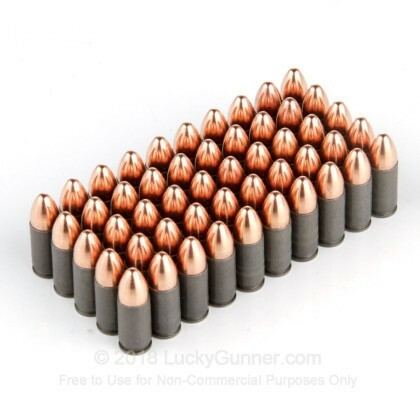 Good ammunition, and its cheap! On older pistols you might want to check your extractor since the steel casing might damage it, but on newer weapons its good to go! Its a little dirty, and if you think about it, thats just fine considering it was designed by a Russian company to be used by highly reliable Russian made weapons. A little barrel fouling doesn't stop them. 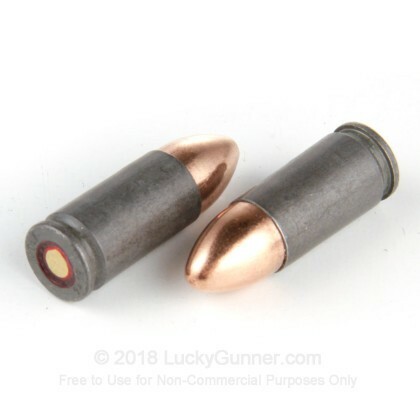 With fouling in mind, it doesn't really seem to make the barrel any dirtier, in fact, i found that its CLEANER than that white box Winchester ammunition! 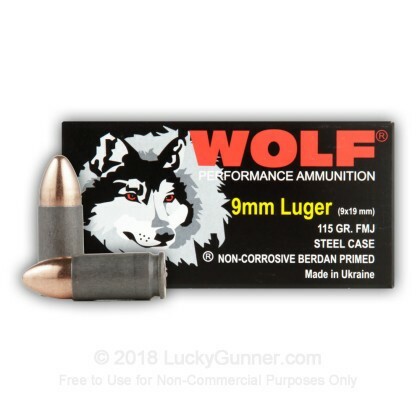 Just one piece of advice: if you're going to shoot WOLF, then shoot WOLF. Since the powder is a little dirtier, they coated the steel casing with polymer to make sliding cases in and out easier. There is no such coating on brass or aluminum casings. 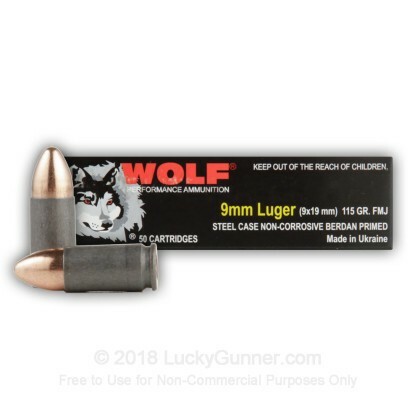 If you switch from WOLF ammunition to any brass casing, I can promise you that you will most likely get feeding issues. If you are going to transition, then give the weapon a quick field strip and a quick clean, and then you should be able to shoot brass just fine. Remember: Brass to WOLF = just fine. Wolf to Brass = light cleaning needed. 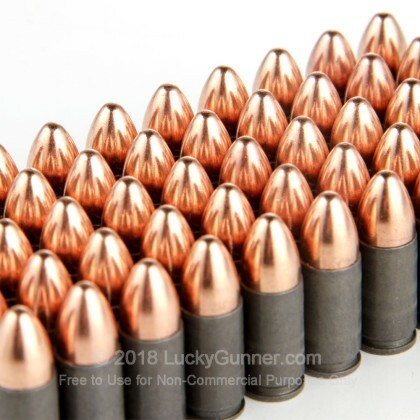 If you think about it though, this really isn't an issue since you're looking for a reliable, cheap training ammunition, right? Fired 50 rounds through my Glock. First time I ever had sparks blowing back into the receiver about every 15 rounds. But those rounds fired true as well. I would buy these again if I hadn't found a great place that always has stock.